The US and EU have nothing to offer that can benefit Ukraine’s population. EU plans are to subordinate its economy to the interests of Western European capital, whilst the US hopes to integrate it into NATO’s military alliance. Ukraine’s population is politically divided between a west that predominantly favours integration with the EU and an east that is mainly ethnically Russian, is economically highly integrated with Russia and wishes to remain close to Russia. The most equitable political solution in the current crisis – and the only one that would be acceptable to all – is through a process of self-determination that allowed the separation of the country into two states. However, the core geopolitical consideration driving US and west European policy on Ukraine is the strategic issue of Russia. Russia is Europe’s greatest military power with its largest population. It is the second greatest military power on the planet by nuclear capability and other military assets. Without the installation of missile defence, the US is unable to challenge it frontally with any certainty of success. This creates a constant potential challenge to the US being able to pursue its global aims unilaterally, which the US is determined to drive back. For example, since Putin came to power – unlike the pure Western cat’s-paw Yeltsin – Russia has sometimes been a significant political obstacle to the US at the UN. Most recently Russia’s UN veto denied international support for Western attacks on Syria, and its diplomacy forced an unwilling US into negotiations instead. Stopping this means weakening Russia sufficiently so that it cannot stand up to the US. Since 1991 NATO (and EU) expansion eastwards has been the main mechanism for this. Most of central and eastern Europe has been integrated into the EU and NATO. Russia raised limited objections to this, but thought it had an understanding the process would stop at the borders of Ukraine. Instead Ukraine became the next target. The US already maintains a huge military arsenal directed at Russia. The US’s eventual aim would be to install NATO bases on Russia’s western borders, tightening a western military noose around it. Allowing NATO to move to its borders would so weaken Russia that it inevitably has to resist, or accept eventual subordination to the West. This is why the Russian parliament upper house unanimously approved deployment of Russian troops to Ukraine. The territory that forms the current state of Ukraine was historically divided between Russia in the east and the Austrian empire in the west. The Crimean peninsula in the south was not traditionally part of Ukraine at all, and was integrated into Russia from the 18th century. It was administratively transferred within the wider USSR from Russia to the Ukraine Soviet Socialist Republic in 1954. Its port of Sevastopol remains the home base of the Russian Black Sea Fleet. In World War II, fascist elements in western Ukraine fought for Germany and supported the Nazi occupation of the country – the origins of today’s fascist movements seen at the heart of the recent upheavals in Kiev. At the same time more than four million Ukrainians fought in the USSR’s Red Army against the German occupation. This history is reflected today in the division of the country between the Russian-speaking east and Ukrainian-speaking west. The voting pattern in elections reflects this political and cultural divide, with pro-Western candidates strongly supported in the west and pro-Russian candidates in the south and east. At the level of its economy, Ukraine was devastated by the impact of the IMF’s shock privatisation ‘therapy’ after the dissolution of the USSR and has not yet recovered. Its economy is still smaller than it was in 1991, having experienced over 22 years of net negative growth. It also suffered a steep fall after the 2008 financial crisis, contracting 14.8 per cent in 2009. Its foreign exchange reserves have dropped to a level that raises fears it may default on its sovereign debt. This was a significant factor in the recent events. The proposed Association Agreement with the EU – eventually rejected by Yanukovich in November 2013 – required that Ukraine meet the IMF’s terms for a new loan, including increasing energy prices to consumers and devaluation of its currency. This would have offered no solution to its problems, instead the IMF ‘structural adjustment’ package – arranged under the auspices of the US – would have squeezed more life out of the already struggling economy. The EU powers’ longer-term plan is to open up Ukraine’s economy to free competition from the more advanced countries of the EU, which would destroy Ukraine’s less competitive industry. Yanukovich was willing to go along with the EU’s proposals, but with an election looming next year he knew that its terms would badly hit the population and therefore his re-election chances. With the negotiations not delivering any concessions from the IMF’s terms for a loan the Association Agreement looked unattractive as an immediate option. At the same time, Ukraine is heavily dependent on Russia economically, which supplies and subsidises its energy (at the cost of an estimated $4 billion a quarter). More than 60 per cent of Ukraine’s exports go to other post-Soviet states, with Russia, Belarus and Kazakhstan the most important. Russia offered to loan $15 billion, without any damaging ‘reforms’, and also agreed to reduce the price of natural gas it supplies to the Ukraine by one-third. The pro-Western demonstrations that took place in response to these developments exploited growing popular dissatisfaction at the state of the economy and anti-Russian chauvinism in Ukraine’s western regions. But they were also the direct fruit of the political interventions of the US and EU in the Ukraine since 1991. In December, rabid Russophobe, US Assistant Secretary of State Victoria Nuland publicly admitted that the US had spent $5 billion over the last 20 years on building anti-Russian organisations and movements aimed at toppling the government in Ukraine. This is an extraordinary admission and a clear indication of the crucial strategic importance that the US places on advancing in Ukraine and weakening Russia. If you scale up that $5bn spent on intervening in Ukraine to the size and wealth of Brtain that would be like spending $75bn or $2.8bn a year on trying to influence politics here. In her now notorious leaked phone call, Nuland also made explicit the US’s coup goals and its preferred new government for Ukraine should these plans succeed. Her anger at the line of the EU was a reflection of the US’s far more confrontational approach to Russia and to Ukraine’s pro-Russian currents. Hence why, when on 21 February the EU brokered an agreement for a power-sharing government between Yanukovich and the parliamentary opposition, the US torpedoed it. The US was looking for total ‘regime change’ and so covertly backed the armed protesters breaking the truce and attacking the police lines in Kiev. The US’s tactics were successful. With sufficient guns among the protesters to ensure that only a bloody crackdown could force them to accept the deal, government forces faced mounting chaos. At least 70 people, mainly demonstrators were killed. It is disputed whether these were victims of the state security forces or whether – as is widely claimed – some at least were shot by far-right snipers deliberately seeking to create a bloody mayhem that could be blamed on the government. But irrespective of the truth, the political consequences were decisive. A section of Yanukovich’s parliamentary support became convinced there was no way out and that it should switch sides. Sufficient deputies from Yanukovich’s Party of Regions crossed over and joined the pro-US/EU opposition group to assemble a new majority. This grouping then carried out a ‘parliamentary coup’, claiming the right to change the constitution, impeaching the directly elected President Yanukovich and replace him with their own unelected acting President. The US-preferred candidate, Arseniy Yatsenyuk, was installed as prime minister. The anti-Russian chauvinism of this new ‘government’, and its inevitable dynamic towards dividing the country, was seen most clearly in its rapid decision to abolish Russian as the second official language, despite almost half the county being Russophone. This was not the act of a government seeking to take Ukraine in a new unified direction, but an announcement of a brutal confrontation with its own Russian-speaking population. The most extreme anti-Russian components of the pro-Western forces are the neo-fascist far-right groups, which were a highly visible part of the anti-government mobilisations. In the parliament a neo-fascist party, Svoboda, holds 36 seats of 450 seats. The US has been more than happy to work with this party and be photographed with its leaders. When Svoboda formed in 1991 it called itself the Social-National Party, intentionally identifying itself with the former German Nazi party. On the protests an umbrella group that organises street fighting, the Right Sector, is made up of Ukraine’s various armed neo-Nazi groups. Its paramilitary activists have been armed with rifles, small arms, Molotov cocktails and bulletproof vests. They led the attacks on the police. The ideology of Svoboda and the Right Sector is vehemently anti-Russian, anti-Semitic, anti-immigrant and anti-gay. Hence a plethora of white supremacist banners, Nazi SS symbols and ‘Sieg Heil’ salutes evident in the movement on the streets and in the Square. Not only statues of Lenin, but war memorials to those who fought German occupation and synagogues have been attacked. With US military resources limited by current budget constraints (as explained in an earlier article here) the US is turning to more covert tactics of destabilisation and forging violent oppositions to pursue the overthrow of what it sees as opponent regimes. Even $5bn on the opposition in Ukraine is cheap compared to the approximate $3trn the US spent in Iraq and similar amount it spent in Afghanistan. And it avoids the consequences in political unpopularity of the deaths and injury of US personnel. The US is an experienced practitioner of this type of destabilisation, using a variety of tactics. In Ukraine it meant encouraging the most extreme wings of the opposition – which were also tied to the neo-Nazi right –as these can be relied on to disrupt all efforts for dialogue and keep peaceful, compromise solutions off the agenda. These forces use sufficient violence to try to force government to choose between a politically unacceptable deadly crack down or allowing chaos to go unchecked and eventually lose all credibility. Outside of western Ukraine the new regime lacks popular legitimacy. In Crimea the provincial government has taken control within its own borders and military forces loyal to it have reinforced security on the peninsular. The Russia deployment is supporting the provincial government. The US describes this as that ‘Russia’ has effectively taken control of the Crimea – without a shot being fired and with the support of the overwhelming majority of the population. An alternative perspective might suggest that Russia is defending that majority from takeover by a hostile Kiev. A referendum on Crimea’s status is planned for 30 March. In the rest of eastern Ukraine, including in the main cities of Kharkov and Donetsk, there have been significant demonstrations rejecting the legitimacy of the new Kiev government and supporting ties to Russia. Attempts by the far right to mount provocations have been small and easily overwhelmed. It remains to be seen whether these regions push for separation from the rest of Ukraine and whether Russia comes to their aid. In such a struggle the sovereignty and right to self-determination of all the regions in Ukraine should be defended, including any assistance that Russia extends to ensuring that. The solution to the current crisis that offers the greatest popular sovereignty is one that respects the different orientations of western and eastern Ukraine and allows the populations in all the regions the right to self-determination. This would result in two separate states that would organise their own relations with each other and with the EU and Russia. There could be a peaceful dissolution just as was achieved between the Czech Republic and Slovakia in 1993. Referendums should be held in each region to determine which state they join. The US imperialists oppose such a democratic solution. 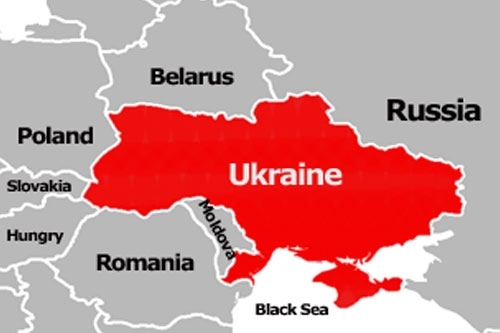 Having secured control of the government in Kiev they want to consolidate the authority of its illegitimate regime across the east and south, including into the Crimean peninsular forcing Russia out of its Black Sea base. The EU also wants to maintain the unity of Ukraine – the better to exploit it economically in the future – but its economic interests in Russia and reliance on it for one-third of its gas and oil consumption means it is less willing to engage in a frontal confrontation with Putin and would prefer to ease back and resume the search for a compromise solution. The confrontation playing out in Ukraine is however not fundamentally about the rights of the Ukrainian people but is the site of a massive attempt by the US to drive back Russia and destroy the capacity for any force to challenge it at a global level. Russia may not be a second superpower anymore, but recent events on Syria have shown that – especially when in alliance with China – it is still powerful enough to obstruct the US’s plans. US imperialism will not tolerate any challenge to its global hegemony, however weak and vacillating. It demonstrated that recently in Iraq, in Libya, in getting rid of Morsi in Egypt, its sanctions on Iran and its offensive against Syria. Therefore it has decided Russia must be fatally weakened. The US is not interested in ‘democracy’ in the Ukraine – if it was it would not team up with fascists. The people of Ukraine are just a tool in its attacks on rivals and challengers, which in this case is Russia. Defending the rights of the people of Ukraine means defending the rights of the east to resist the imposition of a US puppet government over it, defending the right to self-determination even to secession for all regions that want it, and defending the right of the Russian army to come to the aid of the eastern regions to prevent Kiev enforcing its control. Fighting the racist onslaught- building the March 22 demo!